PS4 Pro launches this week. The new console packs significantly more power than the standard PS4 and is aimed at 4K gaming. 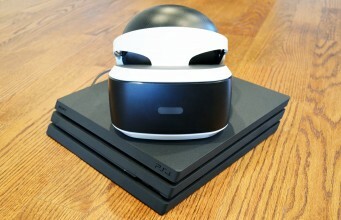 When it comes to PSVR, which is limited by its 1080p screen, the biggest gains we’re seeing so far are in loading times. Right now you’d be hard pressed in most cases to tell the difference between a PSVR game played on PS4 Pro and the same game played on PS4. We think that will probably change and PlayStation VR games will see big visual improvements over time as developers begin to target the PS4 Pro and unlock the capabilities of its hardware. In the meantime, there’s one instant perk you’re likely to notice when playing PlayStation VR on the PS4 Pro and that’s loading times. 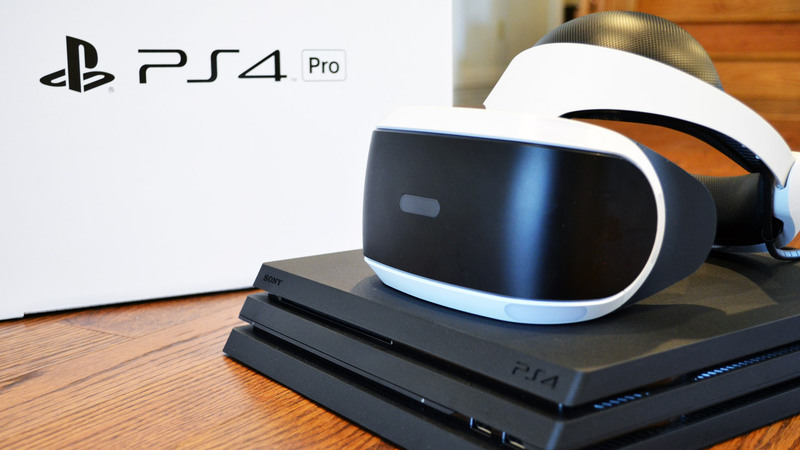 In our initial tests, we’ve seen loading times improved significantly for PSVR games played on the PS4 Pro compared to the PS4. In Robinson: The Journey, we measured a 24% reduction in loading speed when launching a new campaign. Faster memory on PS4 Pro doesn’t just mean shorter times between loading screens, it also means faster texture loading. Many games use a level-of-detail system that loads low-resolution textures for distant objects; as you approach, higher resolution textures are loaded on the fly, giving you a sharper view. If the system doesn’t load these fast enough, you’ll see a ‘texture pop’ where the ugly low-res texture suddenly pops into full detail. It’s an ugly and distracting affair, and it happens to varying degrees depending upon the game in question and other things happening with your system (like background tasks). In VR, when the gameplay is slower and the player has the option to get extremely close to objects (even picking them up and inspecting them by hand), those high-res textures are even more important. In a traditional FPS you’re probably sprinting down a hallway blasting guns at 50 enemies; it doesn’t matter much if a detail on the wall doesn’t load quickly as you zip by. But in VR, you’re often moving more slowly and you might actually want to stop and look up close at the world around you (especially when there’s small text to be read); texture pops are a distracting reminder that you’re not actually in the virtual world that’s being presented to your eyes and ears. Thankfully, PS4 Pro’s increased loading speeds not only helps whisk us from one virtual scene to the next, but also makes things slightly more immersive by reducing texture pops and loading high-res textures more quickly when we stop to smell the roses. That’s fine for now, but we’re excited to see how far developers will be able to push PlayStation VR games once they tap into the system’s extra power. The post The Biggest Gain for PSVR on PS4 Pro (so far) is Loading Speed appeared first on Road to VR.